Onida AC Customer Service Number is provided below for customers who would like to contact Onida AC Customer Care for any queries/issues they may have with regard to their Air Conditioning products or customers who want to raise service issues and complaints can utilize the Onida AC Service Email or phone number. Carry in Warranty is something where customers have to carry the product to Onida Service Centre available and get the service done by the Customer Service team. Onida Onsite Warranty is where the customer service technicians visit your home to get the product serviced, this service is applicable for selected products within the city area limits only. Both these warranties are applicable for Onida Air Conditioners(AC). Onida Air conditioners are equipped with latest features and stylish designs. 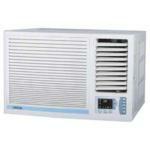 Split Ac, Window AC and commercial AC are different categories of AC’s offered by Onida Company. With its cutting edge technology it offers powerful and efficient performance Air conditioners with best features like improved heat transfer, long life, instant cooling, energy saving etc. For more information regarding Onida Air Conditioner models , Onida AC price list , visit the Onida AC India website. I bought one Onida 1.5 T AC on 22.03.2013 from M/s. Nandilath G-Mart, Trivandrum. The performance through out was not all satisfactory, some how it pulled on till the one year warranty period ended. From June 2014 onwards it stopped working and due to monsoon we only intermittently tried to contact the SERVICE. Now we are in need of the machine and could not get any of the company’s techs or service centres. It is astonishing that even the e-mails sent to their both IDs have not been delivered so far. Whether the company is still existing God knows! I Bought new Onida 1 ton window AC last year from arora electronics at chowk farid, amritsar (punjab) show room. From the day it got installed its not working. When checked we found that compressor has failed to function and we have been complaining about this to both arora electronics and ONIDA customer service frequently. No action has been taken till now and i am very dissatisfied with this kind of customer service. I don’t know whom else to complain about this issue. I want immediate action to be taken to fix this issues.Also the manager at the arora electronics showroom is not replying properly and the contact person from customer service side is not picking up the calls. I am very much frustrated because of this, So kindly take necessary action and get this issue solve as soon as possible. Please feel free to reach me if you need any information about the air conditioner. I would like to share some thing here regarding Onida AC customer service. For the last six months Iam using one 1.5 ton split ac purchased from Chennai. The installation was a 2-week long process!! The technicians (they claim to be) cut one electrical connection in our rented house even after properly giving them the place they were required to drill a hole (visually marked in the wall). The surprising fact was that these people after carelessly cut the connection,weren’t aware of how to repair that (they admitted it!!). But still this could be atrributed to – may be a rare mistake (but not much sure of it). But the real ‘marvel’ of the customer care experience with Onida will be revealed only after raising a complaint throuhg there efficient customer care. Once I raised a complaint for leaking – they registered the complaint and informed me that within the next 24 hrs some one form their technical team will visit my house. When the promised 24 hr window got extended to around 120 hrs, I once again tried their customer care number. The response was very casual – not even bothered about the ‘slight’ delay that had caused. They gave me one local number and asked me to contact him. Finaly some solution?? No…never..the number does not even exist. i tried again with their customer care – got a new number this time …. but doesn’t exist. This procedure was repeated four times and when finally they succeeded to break my temper, they forwarded the call to someone else (I was required to threaten them that I was going to the consumer court ) and finally some of their technicians came and fixed the issue. But I was not that much lucky the next time when I got an ‘oppurtunity’ to raise a similar complaint. (All these complaints within the span of the first three months of purchasing the equipment!!). This time also all the previously mentioned procedures happened – raising a complaint, then following up ‘n’ number of times for getting a local number which doesn’t exist (the variable ‘n’ depends upon how soon our patience breaks – more patience, bigger will be value of ‘n’). But this time I failed to note my complaint number. I was in a hurry and didn’t bother to obtain it again when I called them the next time. So after trying their ‘not existing numbers’ three times, the fourth call was welcomed with a new information that there is no esisting complaint with my credentials!!! – THEY CONVENIENTLY DELETED THE COMPLAINT!!!!! Great…isn’t it. Later some of my colleagues who also got a chance to use Onida spilt AC’s informed me that Iam not the first person to be welcomed with this kind of sevices. I have gone through some of the older posts in this forum. That’s why I thought it necessary to share my experience wiht Onida here. Atleast those people who are going through these posts won’t fell into their trap. I hav purchased 1 ton ac model no S12GLS N-6. From the time of installation, the horizontal swing is not working. When asked to the dealer, he said it is not there for your model. But on remote there is a button for horizontal swing. When I pressed it , the machine is giving some silent noise. I think there is fault in machine. Can anybody tell me whether there is automatic horizontal swing or not. There are the blades for horizontal swing. I think dealer is cheating me. I had bought 1.5 ton ONIDA Split AC , from Asian Aircon, Madraimade 100% fullpayment. My AC was installed during 7 March 2012, The AC model sr no s18FLT N3 1111009737 was installed,. After a couple of months Started the PC Boadrd problem, I have even tried calling the ONIDA dealer, and came tried but, has result same problem. My request is to please help me with my AC, have someone attend it and fix it so that I can use it or else replace it with a new AC, same brand same AC,without any extra charge. I am writing hoping that you will be able to reach to the company and so something about it. I have very litle faith in service standards of Indian companies . I am Benjamin Chacko, I HAD PURCHASE ONIDA 1TON Split A/C from KOHINOOR Electronics, Dombivali (W) Branch. IN APRIL 2010. At the time of purchasing the dealer has informed me that your will get 1 year free service. Regret to inform you that no body has come yet even to check it. Please send your technical persoanl and assist me. My Contact number is +91-9920016919. I have 1.5 t Onida split AC of which remote is not working due to faulty reciever ie sensor in the AC indoor unit. I contacted the service centre at Panaji – Goa. They have no sensor in their stock so they suggested me to buy from local market. I didnt want to buy it from local market as they have some other sensor and not the one fitted originally. Please help me out. My number is 9545158989. But after that I had done renovation of my home and again I ask that vendor for installation he try to cheat me demanded higher charge then in market so I have done with other service person. Now My AC is not providing cooling after some days of reinstallation. So I approach that vendor from whom I have buy and he deny me for service. So I need direct company service person to solve out my problem. My name is Maheshbhai Kothari I have purchased Onida Split A/c on March 2012. Now My AC is not providing cooling and I approach that vendor from whom I have buy he deny me for service. Very Very worst service. Please do not name it as Customer service. Its pathetic service. Find the complaint number below. If am not getting any response in 24 hours i need to go to consumer forum. Complaint number:- 12099806380443 complaint dated 25 Sep still open and no update. Complaint number:- 12069116380559 complaint dated 19 june already closed without any proper response. It is unfortunate that in spite of Logging complain no resonse from the Onida Service Team . Is there any costumer care team to take care of consumer problem .If the service can’t be provided than it is responsibility of Costumer care team to prov ide necessary alternate arrangement . I have Purchased 1.50 TR in Month of May 2011 .I have lodged complaint Vide Complaint No JL 483 Dt 1.8.2012 . The service engineer visited the & confirmed that the Compressor is damaged & need to be replaced . The Compressor has not been replaced till date & we are facing lot of problem. In spite of repeated call no body is responding & the contact No of Service represetative Mr Rajkumar 9419226162 is not reachable as the Incommig call not available on the Phone since last so many days . The service is very poor & costumer is not your priority . Onida A/C not even performing one year perfectly.not a reliable product in the market.Compare than 1 st year now after the 4 year it is performing only with 25% result even after anuual proper maintenanec? need your advice to thro it or you will do some thing or you declare that your product is not reliable and not worthy purchasing to use it! I bought ONIDA split AC last year. (April 2011) from Surbhi Electronics, Ajmer(Raj). despite repititive complaints at Dealer, local service center and to mr.pankaj(Mo. 8875012700) at jai[pur service center . no responce is received. it appears that i have simply purched a useless show piece for Rs.30000/- and also lost piece of mind. My contact number is 9460119790.
given below is the link from which you can get the right customer care number. above given number of are their head office. sir, i purched 1 ton window onida ac on may 2009 from micr elecctronics Karnal. The compressure of this a/c is not working properly so i req. to u pls do the needful and provide me service soon my address is # 702 sector-14 P Hisar – 125001 Haryana. My name is Asgar Ali and I am willing to work with Onida as a Authorized Service Centre for Onida Airconditioners in Bangalore , Please tell me what is the procedure for opening a service centre and what should be my elegibility. I have got 8 to 10 years of experience as a Technician in Airconditioners. I will be looking forward for your valuable reply. Purchasing an Onida AC was the biggest mistake I had ever comitted in my life, its the worst product available in the market, it has the maximum compliants, the quality of after sales service is the worst aspect. The service centere does not respond at all, even when called daily I registered my Complaint No: 10090450380608 dated 17/09/2010, the AC has been collected from my residence, but so far not repired, I am fed up. I bought a 1 ton AC from Bajaj Elecronics, Lakidikapul, Hyd 2.5 years ago, I made many calls to Customer Care center for service to my AC, but no proper response and not even visited for a single service for last 2.5 years. The shop manager told me that the service of Onida is excelent, but it’s obsolutely worst than any other services in India which I used in my life. i have purchased a new 1.5 ton split from sneha enterprises but i am sifting my ac to another area i have re instoled my ac at (address ) flat no 501,krishni bulding ,near hariyana bhavan , amba mata temple bustop ,charkop ,kandivali west,mumbai ,mharastra .please send your person to instal my ac . my cell no 9920430332.
i have purchased a new 1.5 ton split ac worth of rs-29000 from patel radio, visnagar dist-Mehsana ( North gujarat). From very first day it makes heavy noise, the outer unit was not properly installed.the ac was not cut off by itself.i havepurchased split but it works like window ac, so please do something or replase it, otherwise i have to use consumer protection act against your brand. I have bought a Onida 1.5 ton Window AC from National Sales Corporation, Kotkapura. It’s not working since last 25 days. After repeated complaints to the distributor, service center bathinda and ludhiana, no one is bothered to provide service. Its just a pathetic service and horrible experience. i have bought ONIDA 1.5 ton window AC. on its installation the machine is not working????? called the dealer refused to help. an engineer from ONIDA visited and says the relay of the machine is not there. He will fix the relay once it is available in the store????? Have the waited for the payment so long? there is no service till date they promised to help BUt only in words. i hv bought ac onida it spathtik in service i wll never recomend peaple to buy such poor selling line product of the company .i were also planed to make further two more ac but i wll now buy from other peaple not from ondida very much unsatisfied customer of onida . `I have bought an Onida AC TFL modelo which is 3 star rated from metro Hyd. Installation took 3 days when I took too much of pains in contacting their service centres and call centres. My login Number is 10046266380243. Withing 4 days, it is showing its improper functioning and installation. Water is getting leaked from the split and the swing function is not working. I gave a complaint on 23 April 2010. My complaing no. is 10046266380382. till now there is no reply or response. it is worst kind of service that i have ever seen. the people concerned do not even receive the calls of customers’. And i am surprised how they call themselves as customer friendly. they say we have come out with these ACs as we know you. they are so indifferent to and unfriendly with the customers. I bought a window A,C 1.0 ton Sr.no. 12097 date 24-4-09 from Vedio CD point Distributers Dwarka(Delhi). My AC has not working since 24th March 2010 i had filed complaint to onida custmor care for checking and repairing . under complaint no. 10035996380749 they send mechanic engineer after a gap of 10 days. but after regular follow up for more than 10 days they have’t installed the PC and on 11 th day engineer came and check the status and informed me that your compressor is dead. now they are not sending any mechanic or reparing foreman since then now i am totaly frustrated by the bad services provided by the company like onida. please help me out of this problem.and kindly do it urgent or tell me solution for getting AC repaired which is still under warranty. I bought a window A,C 1.5 ton Sr.no. 005002163 date 6-5-06 from khandelwal Distributers Bareilly(U.P). A.c is not working from a month.i contacted Khadelwal Distributors to diagnoze the problem but he said that he is not dealing with the company so they are unable to get it checked for the problem.even i ask him for the service centre number but he couldnot tell us,so i request you to kindly arrange your engineer for the problem. I bought ONIDA split AC (ModelSG12DFL/SG18DFL) last year. (April 2009) from Baby electronics, Coimbatore. So far no service has been done.Remote control is out of order.Kindly send some body to rectify the problem.My contact number is 9486935120.